Revelers know to wear costumes or at least dress in purple, green, and gold, and adorn themselves with long beads caught from the floats of previous parades. You’ll see a lot of crazy costumes, kids with their families are everywhere, and both locals and visitors having a great time. Parade goers will sit on the ground, throw balls, play music, eat great food (and may have a drink or two) and watch the crowds walk by between parades. On Mardi Gras day, the majority of non-essential businesses are shut down because of the celebration. While most people think of parades when they think of Mardi Gras, there are plenty of other traditions too. The King and Queen of each krewe work all year long for the big, spectacular ball. Their identity is a closely guarded secret and part of the mystique until the night of the Ball. Most of the balls are a formal and private affair for the krewe. Debutantes are introduced at the Ball Tableau as a formal introduction to society. In climbing the social ladder, children start by serving as pages to the court. Women dress in ball gowns and hope to be issued a “call-out” card. If a debutante is fortunate enough to receive one, she is seated in a select area and waits her turn to be “called out” for a dance by the krewe member who sent the card. A night of dining and dancing with a prince in formal attire – what a dream! Attendance at the older, more aristocratic balls is by invitation only. No one really feels left out if they don’t receive an invitation, though. Many prominent people aren’t invited, including governors wanting to attend. Ball invitations were originally die-cut and printed in Paris. Even today they can be quite colorful and valuable works of art. Invitations can also be collectors’ items framed for their beauty and considered interesting conversation pieces. 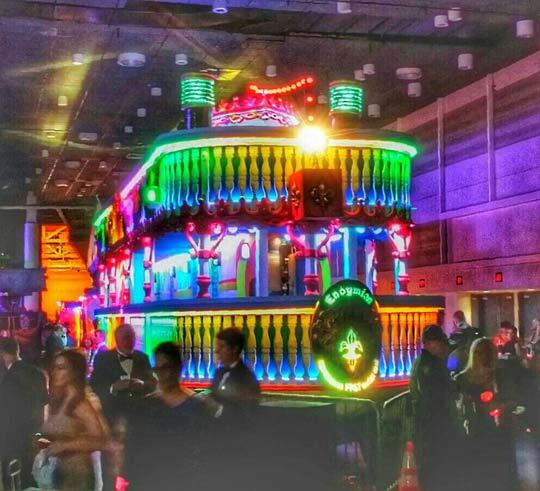 See More about New Orleans Mardi Gras Balls in Part 2.